The car battery is an important component of any modern car. It is in most cases the driving force behind the car movement at any given moment. There are times when the battery may go flat and thus may require to be recharged. When the car is never used for long, the battery may discharge itself. However, there are also cases when the storage system exposes the battery to extreme risk of getting heated up or frozen. Though the car engine usually has its own mechanism of recharging the battery, it may at times call for the direct intervention of the driver by recharging it using external methods. Knowing these steps could save you the agony, especially if the car breaks down and the only problem it has is to do with the battery. It is for this reason that we strive to simplify the whole process for you so as to be able to make it easier. Though other tips may also feature on the diverse forums, we hope that ours will be the ultimate point of reference for all the motorists who need to lean on this. Ensure you have time– because of the delicate nature, battery charging requires enough time and must never be rushed. The electric charging process if taken in a rush may in some cases end up, spoiling the battery altogether. So it should be slow guaranteeing the longevity of use. Determine the charger to use– this is usually made easier if you took time to learn your battery there are diverse car batteries in the car compartments. Each of these would be fitted with different chargers. 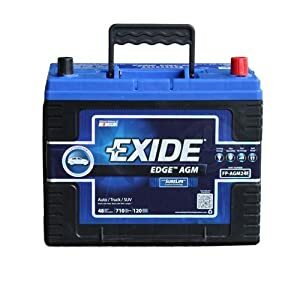 For instance, you may be having one of these batteries- a wet cell battery which usually operates on the basis of adding wet acid and then recharging, an absorbed glass mart (AGM) battery, a gel cell battery, a valve regulated battery or what many would love to have in the form of a maintenance-free battery. 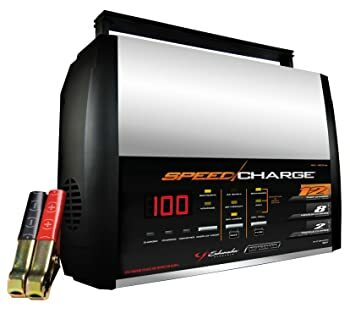 The type of charger you use needs to be appropriate for the kind of battery most of these chargers we have in the market are universal and may work for the diverse batteries. However, if you are having a gel cell battery, you may need some special charger. Ensure there are safeguards– because it is an electrical process, having a charging system which has safeguards is the best. You need to opt-in for some charger which may stop on its own when the charging is over. In this vein, most of the modern chargers we use have microprocessing systems which regulate how the process takes place and may stop the process to avoid overcharging. Prepare the battery by clearing build up on the terminals – with the continuous use, the battery terminals usually get a build up on it. This needs to be cleaned. But first things first, the battery needs to be disconnected carefully from the car engine. The earth terminals should be the first to embed. Disconnect the terminals in reverse order in which they are usually connected. The terminals can be wiped with a cloth soaked in some washing agent. Contact with bare hands is to be avoided. Open the battery cell caps and for the wet cell batteries, you can add water to the cells before the commencement of charging. However, in most cases, each battery comes with a user manual which you may find handy in this case. Additionally, you need to wear safety clothing to avoid cases where you get burns arising from the hydrogen gas. Set up the system – when all is done, the charging system needs to be set up strategically, with each cable having its own space. In fact, ensure that the charging point is free from any objects which conduct electricity and needs to have good ventilation. Earth the charger appropriately before anything starts. Connect the charger and start the charging– this may involve connecting the relevant car battery terminals to the appropriate charging points. In fact, you may need to ensure that the user manual is also followed to avoid cases of fire. In the process of connecting, ensure that the battery is safe and the other charging systems are also not in contact with the battery or the fluid you are using the cells. You also need to take precaution with the manner in which you are standing. Complete charging– when the charging is complete, you are likely to notice the charging system to stop on its own. This then calls for the charger to be disconnected in the reverse manner in which they were connected. This whole process should be carried out in the manner in which the user manual prescribes. It is when this is done that you have your battery back to life again. But if the battery is completely dead, you may need to jumpstart it before recharging. How to clean car interior?